New Forest National Park Authority: Pure Town Planning are pleased to have recently secured consent for a new barn including stables including the creation of a new access and track on a field near Sway. 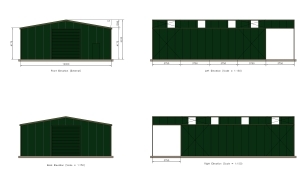 The client approached Pure Town Planning wishing to erect a new barn to allow the storage of farming machinery to upkeep the field. The field in question had two mobile stables, which had to be regularly moved to ensure that they were indeed considered mobile. 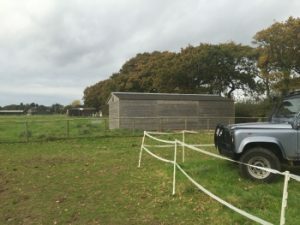 The applicant wanted to place them on a concrete base to make them a permanent structure as during the wetter months the ground around the mobile stables became increasingly churned up due to the associated use. Working closely with the applicant, it was considered that an argument could be put forward that in terms of the visual impact that it would be better that the two uses were contained within one built form instead of two distinct built forms. It was on this basis that the application was prepared. In the New Forest National Park, there are policies for the erection of agricultural buildings and stables, Policy DP20: Agricultural and Forestry Buildings and Policy DP22: Field Shelters and Stables respectively. These two policies have a series of bullet points, which all proposals have to meet. This has to be shown through appropriate and sufficient justification. For agricultural buildings, it has to be shown there is a need for a barn and particularly that the size and scale are consummate for the size of the field. In this case, it was shown that the field is too large an area to be grazed by only three horses during the summer months without the field becoming overgrown and unkempt hence the need for suitable machinery to manage the land. In terms of the stables, it was argued that placing them within the same building as the agricultural use, would reduce the amount of built form on site which would be to the betterment of the visual character and appearance of the wider area. This justification was set out through a full and comprehensive Planning Statement and the application was subsequently submitted. The Case Officer agreed with the justification and approved the scheme within the 8-week timeframe with no changes to the plans, much to the delight of the client. 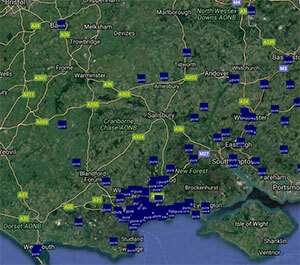 Pure Town Planning are not just for the “town” – our expertise in planning extends to town and countryside alike! So if you have a rural or urban planning problem then why not give Pure Town Planning a call and take advantage of our free initial appraisal.